"Did you just fall?" "No. I attacked the floor." "Backwards?" 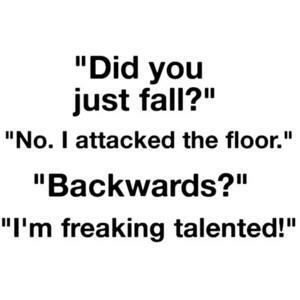 "I'm freaking talented!" "No. I attacked the floor."